The CAS Enduro Extreme check weigher scale is perfect for use in meat, poultry, seafood processing and other HARSH industrial applications. 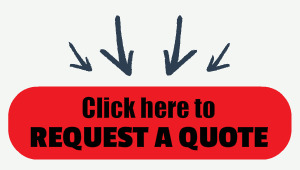 Increase productivity and reduce long term cost of ownership with the most dependable indicator & platform available. 10" x 10" to 15" x 15" and capacities from 2 lbs to 200 lbs. 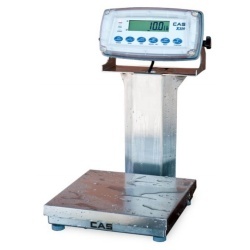 The CAS Enduro Extreme check weigher scale is ideal for a variety of wash down applications like meat, poultry, seafood processing. With a scale like this you're sure to increase productivity and reduce long term cost of ownership. The Enduro Extreme scale is available in sizes from 10" x 10" to 15" x 15" and maximum weighing capacities from two pounds to two-hundred pounds. • Enduro Extreme platforms offer overload protection when excessive weight up to ten times capacity is placed on the scale. • Four (4) shock absorbing springs provide unparalleled positive overload protection. When overloaded or shock loaded, the load cell spider assembly is simply checked on the lower frame, preventing load cell abuse. • For 12" x 12" and 15" x 15" bases, heavy duty static overload bolts provide added load cell protection even in the most demanding conditions. • For added protection, all CAS Enduro bases are supplied with an integral load cell mechanical stop located directly underneath the load cell.